There’s no denying that the best food in the world is pizza, but there’s also no denying that all that cheese, meaty toppings and dough add up to well over our daily calorie allowance. Especially if you, like most of us, can eat a whole one! That doesn’t mean you can’t enjoy a pizza on a Friday night though, just make a few healthier changes. 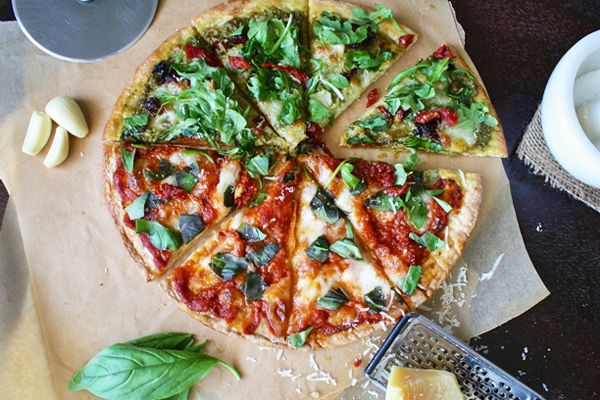 Instead of a deep pan pizza, opt for a smaller and thinner base. You should also top your base with vegetables rather than lots of meats and choose a reduced fat cheese. If you can, try to eat only a few slices and pick a salad to have on the side too. When ordering from a Chinese takeout, the key is to avoid anything deep fried, like spring rolls, and dishes with sugar-heavy sauces like sweet and sour. 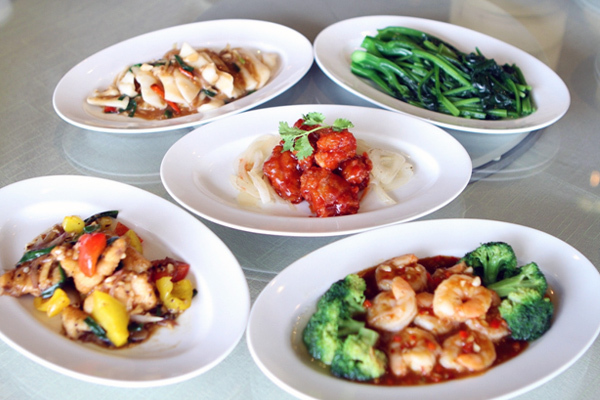 Opt for soup starters, steamed dumplings and dishes that have been stir fried with vegetables. Bean sauces are great options and swap your egg fried rice for boiled rice. There are a lot of healthy options available at a sushi restaurant that taste so good you’ll think you’re having a decadent treat. Salmon and tuna are rich in omega-3 that helps boost your brain and improve heart health as well as both being high in protein – needed to help build muscle. 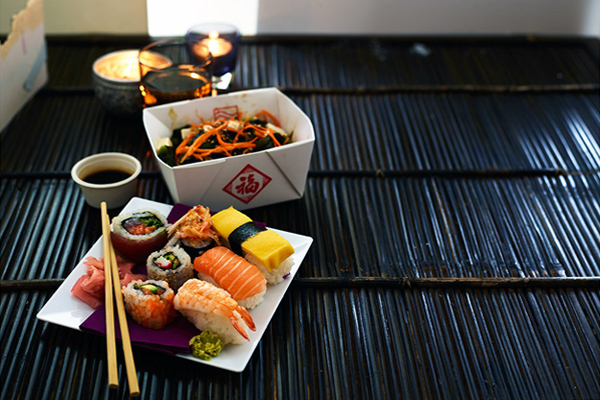 There are also lots of vegetable sushi options that are full of vitamins and minerals. Even the sides of ginger (boosts immune system) and wasabi (full of antioxidants) are great for your health. Like with Chinese restaurants, avoid anything that has been fried and instead pick steamed, grilled, or, even better, raw! You can even ask if the restaurant would be willing to swap white rice for brown, as this contains more fibre. There’s nothing quite like a Friday night curry to celebrate the weekend, but there are a lot of bad options you can pick for Indian takeout so you should be careful. First off, it’s best to avoid appetizers and bread side dishes as these are full of empty carbs and calories. For mains, avoid high fat curries that are full of cream and instead choose a tomato based curry as tomatoes are packed with nutritional benefits. Curries that use turmeric are great options too, as turmeric has lots of benefits including anti-inflammatory and anti-cancer properties. 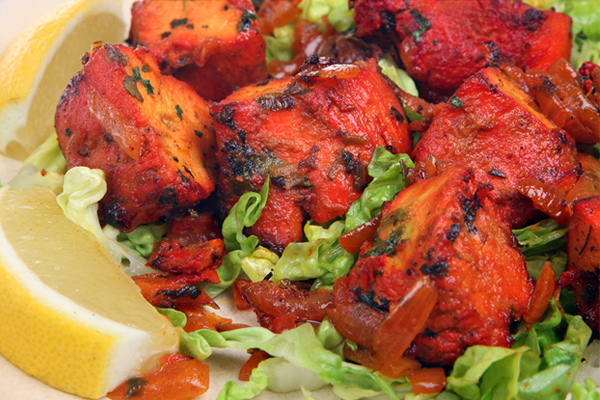 You can even avoid the sauce altogether by choosing a tandoori option such as chicken or shrimp, which is both low-fat and low-calorie. Think about adding a salad too if you can and get boiled rice over fried options.